Earlier today the hardreading staff noted that the Massachusetts Newspaper Publishers Association did not appear in this ad protesting the Trump administration’s knee-buckling tariffs on newsprint from Canada. 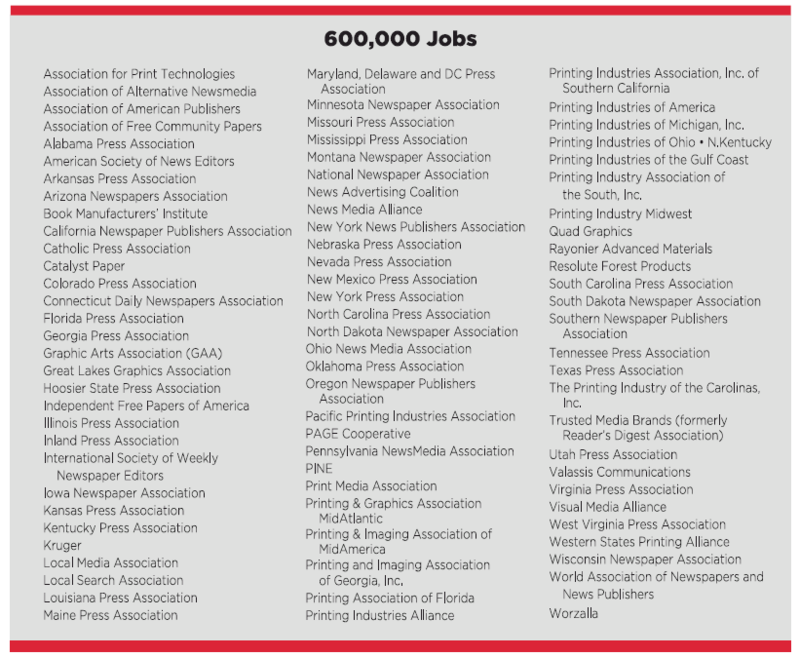 Shortly after we left a voicemail for MNPA executive director Robert Ambrogi, he called back to say the group actually was part of the Stop Tariffs on Printers & Publishers coalition and hadn’t realized that the MNPA wasn’t included in the ad or listed on the STOPP website. Moreover, he said his group strongly supports efforts to get the tariffs lifted. In addition, he just sent us an email saying that at some point tonight, the MNPA’s name and logo will be on the STOPP website. Except for the Boston Herald, that is, where this full-page ad ran on Page 11 of today’s edition. 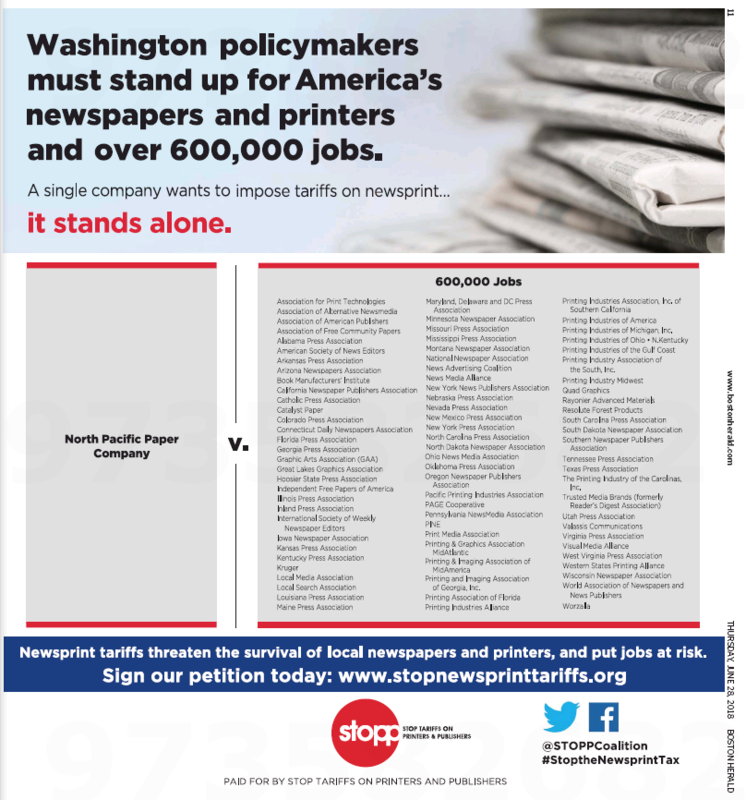 We have joined together to fight proposed government tariffs on newsprint that have been initiated by petitions filed by a single newsprint mill, NORPAC, an outlier in the industry that is owned by a New York hedge fund, with no additional pulp or paper operations in the United States or globally. The proposed tariffs will force our member companies to cut jobs not only at newspapers, commercial printing, and book publishing operations, but throughout the supply chain, such as paper manufacturers, ink suppliers, fuel producers, and equipment manufacturers. Here’s a better look at the list in the ad (the latest news on NORPAC – the North Pacific Paper Company – is here). So we put a call in to MNPA executive director Robert Ambrogi to ask what was up with the group’s conspicuous absence. We will, as is our wont, keep you posted.